School officials send letters home to families condemning bigotry, while a Native American leader says the mixed message of keeping the Skowhegan 'Indians' mascot is hypocritical. 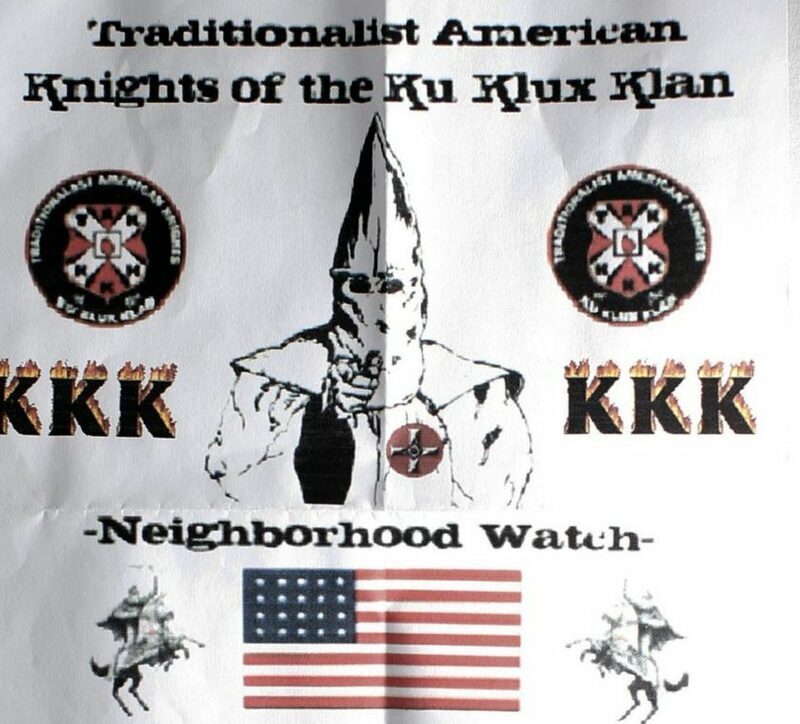 SKOWHEGAN — The school district sent out letters this week to families stating that some Ku Klux Klan flyers have been distributed in the community and that school officials will not tolerate hate speech and bigotry, a revelation that comes a day after Waterville KKK flyers were reported to police that are similar to ones distributed earlier this year in Augusta, Gardiner and Freeport. Meanwhile, though, reports of the KKK flyers in town are stirring new tensions over another controversial issue — the Skowhegan school board’s refusal to drop the “Indians” school mascot name — with Native American leader Barry Dana, of Solon, saying the board’s decision illustrates how the town “has this mentality within its community” among some people. Brent Colbry, superintendent of Skowhegan-based School Administrative District 54, said letters were sent to the families of students in all seven district towns at the urging of Brandon Baldwin, program manager of the Civil Rights Team Project at the Office of the Maine Attorney General. The letters, penned by Assistant Superintendent Jonathan Moody, said the flyers were left on the driveways and doorsteps of some homes in Skowhegan and possibly some neighboring communities. Colbry said the schools in the district were not targeted with the flyers. “We’ve taught our kids that bigotry and hate have no place in our schools or communities,” the letter states. 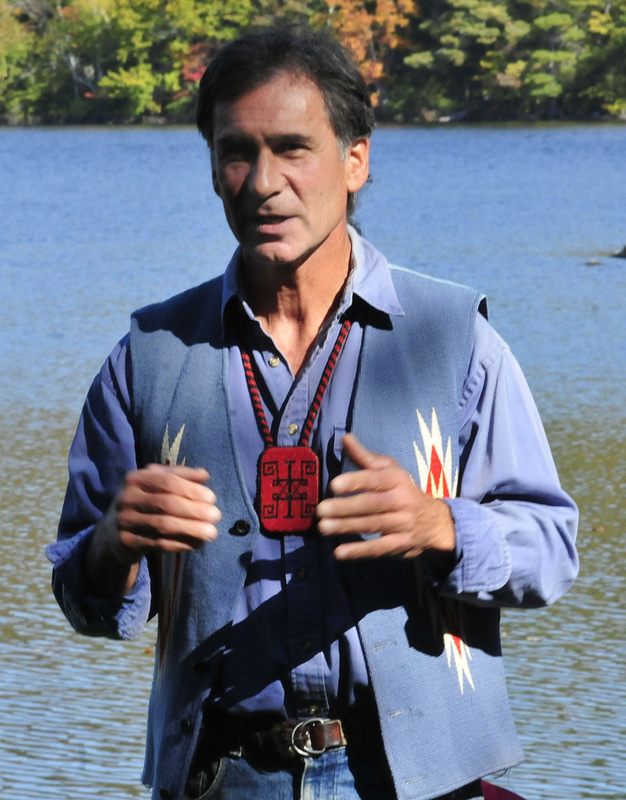 But Dana, onetime chief of the Penobscot Nation, said Wednesday that the school district can’t have it both ways — the community either supports hate and bigotry or it doesn’t. And keeping the “Indians” mascot is an insulting form of bigotry, Dana said, echoing arguments he’s made to the school board in recent years as part of the effort to get the school to stop using the nickname. The SAD 54 school board voted 11-9 in May 2015 against changing the word “Indians” to identify sports teams, after many months of passionate debate. In response to Dana’s comments, Colbry said he doesn’t see the appearance of KKK propaganda in Skowhegan and the matter of the “Indians” mascot as related issues. School board member Richard Irwin, a 30-year veteran of the board who voted to keep the “Indians” name in 2015, agreed with Colbry. Dana said that targeting some children and their families with a racial mascot ultimately hurts all children and their families. “The letter sent home to the parents was so convincing but, unfortunately, borders as hypocritical,” he said. School board member Jennifer Poirier, who spearheaded the Skowhegan Indian Pride group in support of keeping the mascot name, could not be reached for comment Wednesday. The hate group was once a driving force in Maine, a state where as recently as 1924 membership grew to 40,000 and buoyed itself on anti-Catholic sentiment. By 1930, though, only about 225 Klan members remained. KKK literature appeared in spots throughout Maine in the 1990s, but those were mostly isolated events. Skowhegan police Chief Joel Cummings said it appears the plastic bags containing the flyers were weighted down with what he said look like fish tank stones, as was the case with flyers distributed in Waterville. Cummings said the Police Department has received five complaints about the flyers over the past three or four days.